Thanks to our former lead Garden Educator Scott Brinton, we acquired a new group of friends at the IslandWood garden that arrived in May 2012......a new colony of honeybees! 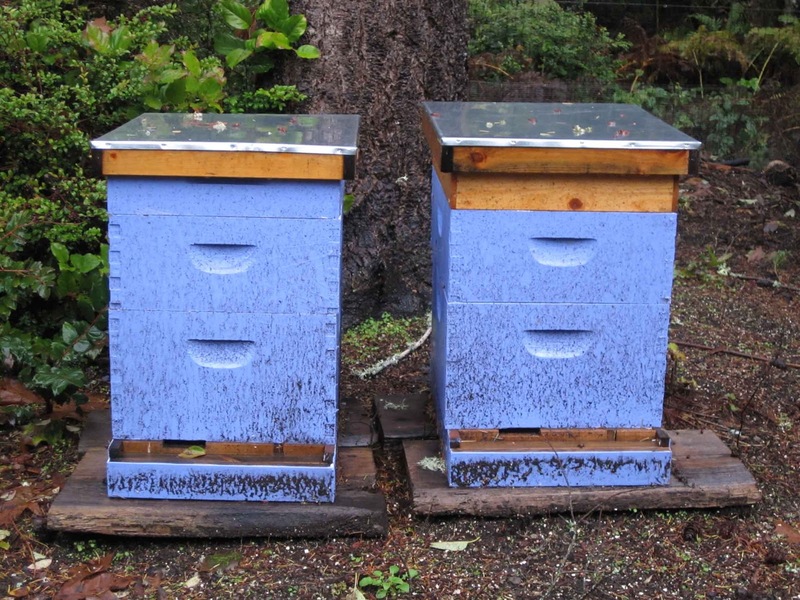 They are a great addition to help keep the garden healthy, pollinated, and perhaps will even bring some delicious local honey. We are so grateful and happy to have them! They live here inside these boxes, and have been tougher to spot lately. Why? Because they like to stay warm and cozy inside when it is cold! Matt Schmidt, one of our amazing kitchen staff members, is our beekeeper and he helps keep the bees happy as well as educates our IslandWood staff about the benefits and care of bees. 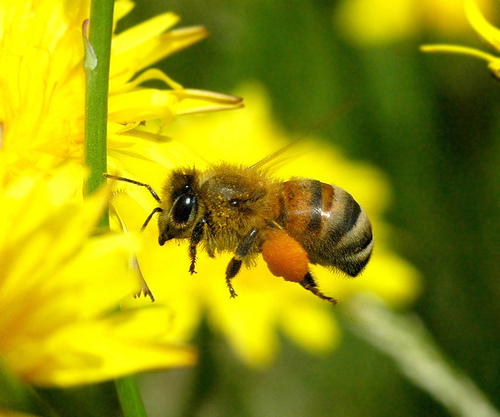 Why are honeybees important to a garden? 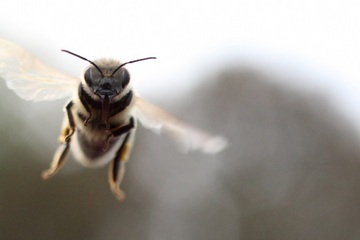 ~Bees play very important roles in the ecosystem of a garden, farm, or any area with plants in need of pollination! These little creatures are responsible for the pollination of many flowers, fruits, and vegetables such as zucchini. Not only are they important, but are considered the number one pollinators for food crop plants, and other flowering plants as well! ~Pollination is the movement of pollen from flower to flower by pollinators such as bees, birds, bats, butterflies, other animals, and wind. This pollen transfer allows for the fertilization and successful seed and fruit production of many plants, including over 1,000 different species used by humans for food or other uses. Honeybees accumulate pollen on their hind legs, as seen in this picture and transfer it to another flower. So cool!! ~Honey is not only delicious, it can also serve medicinal purposes. It carries anti-oxidant, anti-inflammatory, anti-bacterial, and anti-fungal properties, making it a natural and healthy addition to our diet.